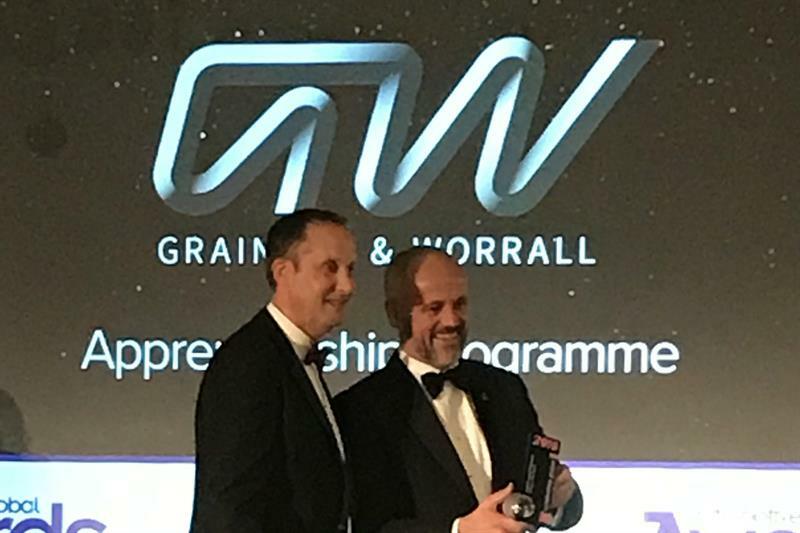 ​Complex machined castings specialist Grainger & Worrall has been awarded a highly prestigious, international automotive sector award. The company held off strong competition to take the Apprenticeship Programme category at the Automotive Global Awards at a gala ceremony at London’s Savoy Hotel recently. The Apprenticeship Programme award recognises the company that has implemented the most comprehensive, exciting and beneficial apprenticeship programme. It encompasses both the apprentices and those who train them and support their development. Having taken on apprentices throughout its 72-year history, Grainger & Worrall is at the forefront of apprentice development, both locally and in the automotive sector. The company led a consortium of like-minded business in raising £4.5m of funding, culminating in the launch of the world-class Marches Centre of Manufacturing & Technology last year, where the initial group of technical apprentices are completing their first year of training. Grainger & Worrall has also taken on Adult Apprentices since 2014 and, overall, continues to employ up to 10 new apprentices each year. Many former apprentices now hold senior roles within the company, including one of its directors. First taking place in 2012, the Automotive Global Awards celebrate excellence across all parts of the automotive logistics, purchasing and supply chain sector. Grainger & Worrall joins a highly prestigious list of winners who, over the last seven years, have included Jaguar Land Rover, TNT and Kia.